Eli Azran's favorite decade for fashion is the '90s, so it’s only fitting that RtA's denim jacket feels plucked straight from the era. 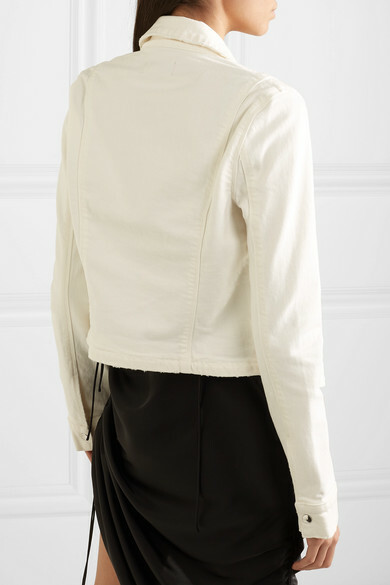 It's cut for a slightly loose fit with a snap-fastening front to give the illusion of a layered vest. Wear yours with everything from jeans to dresses. Shown here with: Orseund Iris Dress, Alexander Wang Sandals, Dinosaur Designs Earrings, Alighieri Bangle.